Time flies and although you might be pedantic about keeping the dishes clean and that dirty laundry basket empty, those chores are often driven by an immediate need – for clean clothing, for dishes to use, for the desire to keep your space tidy. On the other hand, months may pass where cleaning those scatter cushions or the fridge doesn’t even cross your mind. Research has found that 16 species of fungi can live in an average bed pillow, and the stuffing inside actually attracts dust mites, which can offset allergies. Help keep your sleeping space clean by washing your pillows every few months. Keep the bed bugs at bay by cleaning your mattress every six months. Use a vacuum and a damp cloth to clean and avoid soaking the mattress which might cause mold. Don’t flip your mattress, simply rotate it top to toe for even wear. Sheets should be washed often to remove the debris, dust, sweat and so on that’s a result of daily use. Use a hot water wash and a hot dryer to kill all germs. Spot clean your loo once a week or as often as needed, but give it a thorough scrubbing and sanitization once a month to keep it sparkling. We’re usually nice and clean after a hot shower, which means we can use the same towel for a number of consecutive days before washing. That said, towels retain moisture and bacteria, so be sure to hang yours in a dry open space after each use and don’t share towels –even with family members. Wipe down your oven as often as needed, but unless your oven smokes, it doesn’t need a deep cleaning more often than every 3 months. Vacuum your carpets once a week to keep them fresh and free of dust, crumbs and debris we walk through the house. Deep cleaning should be done once a year to eliminate stains and bacteria. Scary thought: Computer keyboards are home to five times the bacteria found on the typical toilet seat, yet many of us never clean them. Unplug all your cables and use a cloth dampened (not soaking) with alcohol to clean your computer. For keyboards with their tricky angles, use an ear bud dipped in alcohol. Your fridge is the hardest working appliance you own, so it’s important to take care of it. Check for and dump expired foods once a week, thoroughly clean up spills as soon as they happen and remove all items to give your fridge a proper wipe down once every three months. Usually scatter cushions are intended for decoration more than anything else, so unless yours are subject to daily use or spills, cleaning them twice a year should be sufficient to keep them looking good. 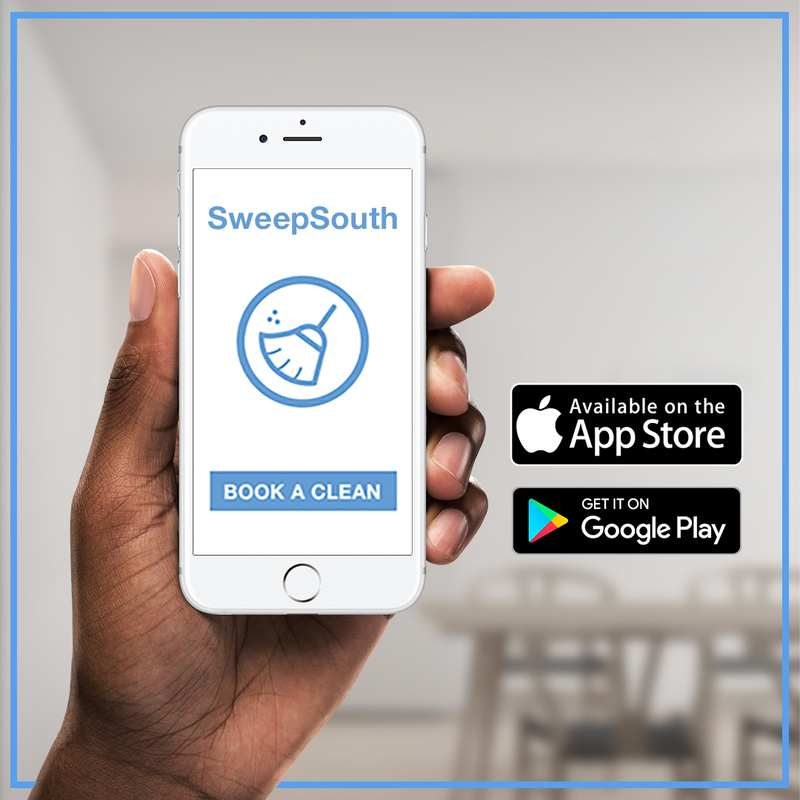 Order extra tasks with you next SweepSouth clean!